This fall, my son enrolled in an after school LEGO building program. Each week, the kids have a theme, and have to build something along that theme. The themes get more complex as the year goes on – fostering building, logic and analytical skills. I’ve noticed a big improvement in my son’s fine motor skills, his conversation skills (having to explain his creation at the end of each class), and his analytical thinking as he has to think through the assignment from topic to creation to completion. As I see these benefits, I wondered what else could his school be doing to encourage STEM in their after school programs, and then I learned about the HEXBUG robotic program, otherwise known as VEX Robotics. VEX Robotics is a platform for schools to enrich and enhance science, technology, engineering, and mathematics (STEM) activities. The VEX Robotics program has an array of VEX curriculum offerings, each tailored to the specific needs of teachers wishing incorporate VEX into their classes. There are five custom tailored VEX Robotics curriculum offerings each with unique goals and methods of implementation. There are even VEX competitions, where teams of students are tasked with designing and building a robot to play against other teams from around the world in a game-based engineering challenge. It ranges from elementary school to college. Whether for competition or just in-house school learning, there are classroom kits for 4-6 kids and kits for 30 kids. There are also single starter kits. In the interim, I’m going to take a look at the smaller construction kits like the Scarab and the Spider or any of the Ball kits, to name a few. You can find them at all the mass retailers or online like Amazon . Another one to consider is one of the Hot Toys for the Holidays and that is the HEXBUG VEX IQ Robotics Construction Set with over 750 pieces (including motors, sensors, video game style controller, and a truly programmable robotic brain) to bring kids’ wildest creations to life! With a variety of difficulty levels, there is something for every kids skill level with VEX Robotics! You can read more about it here! 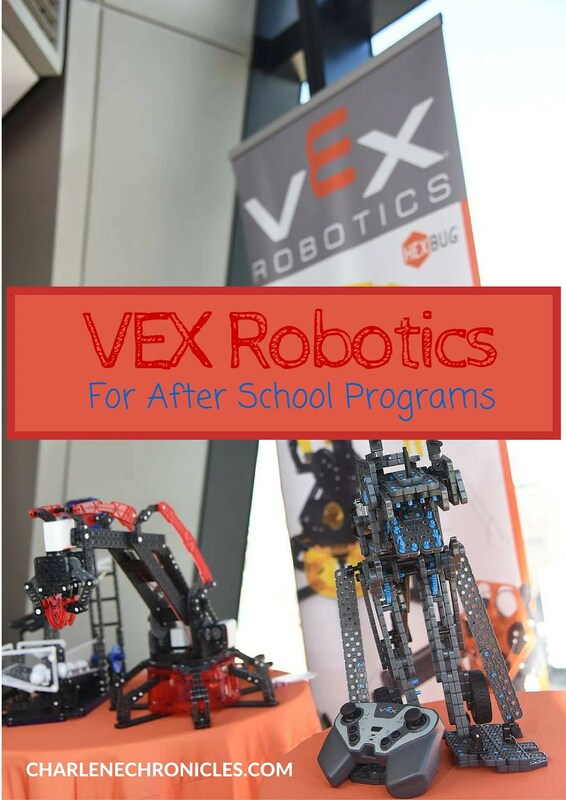 Needless to say, I am hoping our school will add a VEX Robotics after school program, but would love to hear from anyone who already has one in their school! Original image from The Toy Insider. This post is a sponsored post in exchange for complimentary product.